Police investigations into serious crimes were never an exact science. Officers had to follow the clues – physical and circumstantial – en route to the truth. There was always the possibility that the wrong person was convicted. Then along came DNA testing and other scientific evidence to help remove much of the doubt. This week, a 142-page investigative report conducted by the Canadian Centre for Diversity and Inclusion (ccdi.ca), an equity audit of the Region of Peel Police force, was unveiled at Friday’s police services board meeting. What was laid out in clear numbers had been known by many in Brampton and Mississauga for years. The force paid little attention to modern policing realities and the provincial legislation that directs forces across Ontario on how they must conduct themselves, in the name of public safety. To be clear, these directives under the law that governs how Ontario police departments conduct themselves, are not optional. Just like the rules police expect the public to follow, or risk arrest, these are the rules they must follow. For years, Peel police, despite widespread knowledge of what was really going on, used smoke and mirrors to present a rosy picture of the force. But that all started to change in 2014. 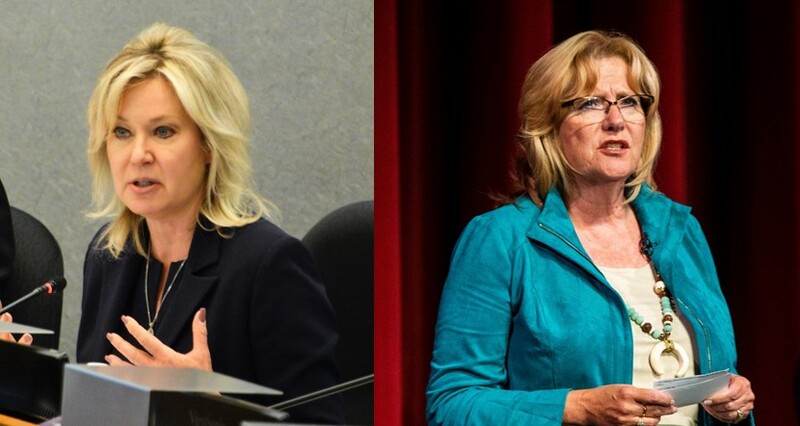 That’s when Linda Jeffrey and Bonnie Crombie were elected mayor of Brampton and Mississauga, taking their seat around the Peel Police Services Board table. They knew things weren’t the way former chief Jennifer Evans, who announced her sudden resignation in the fall after asking for a lengthy contract extension only a year earlier, had long said they were. Evans was fond of subterfuge. As community concerns mounted about her force’s lack of diversity, its ongoing practice of street checks (carding) that targeted young Black men and its failure to promote visible minorities into leadership positions, Evans did what any good politician would. She tried to pull the wool over our eyes. When she launched a Black community advisory committee, in the face of mounting anger over carding, we found out that her hand-picked members were asked to tow the line, if their individual groups or initiatives or their other ambitions were to be served. 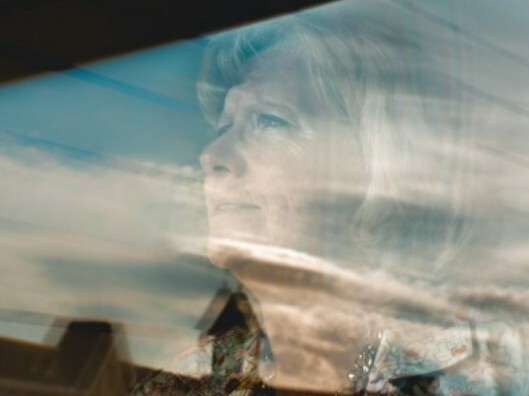 When Patti Ann Trainor, who was tired of trying to protect her three children from Peel police, had enough, refusing to carry on with the charade, she spoke out against Evans and the force. Trainor was promptly dumped from the Black Advisory Committee, which had been told by Evans’ minions on the force that all its communications had to be cleared by PRP officers before any comments or reports were made public. Trainor was told by an inspector that her membership on the committee was at the “chief’s discretion.” This came shortly after she had openly criticized Evans at a committee meeting. Off the list. When Crombie and Jeffrey began asking about the force’s carding practices, as many in the public had become outraged over the common stops conducted by Peel police (almost 30,000 a year, or more than 80 a day) that often violated the rights of individuals, Evans pulled out some of her tricks. There was no need for a review of carding, she told Crombie during a tense confrontation at a police board meeting in June of 2015. Evans was visibly annoyed and confused. Board members were supposed to behave like bobble-heads, just as always, signing off on whatever the police brass wanted and said. The culture had been cemented for decades. 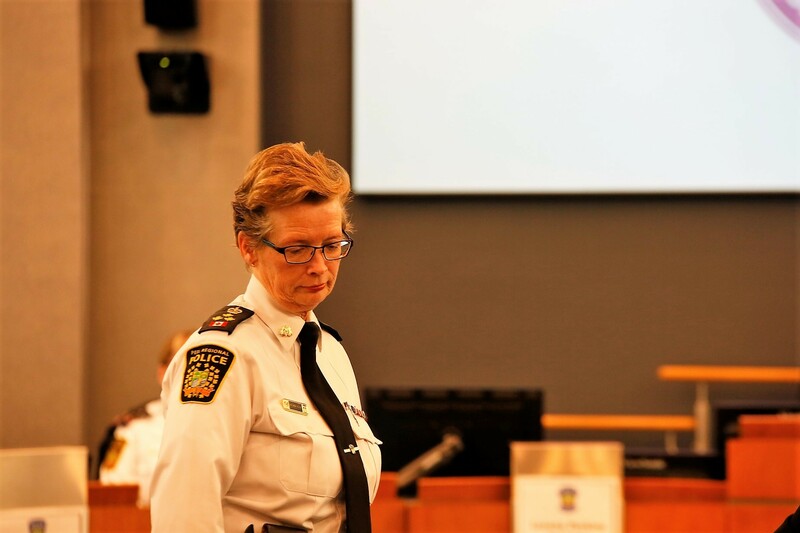 The board was little more than a token of oversight, powerless in the face of a force that could threaten the political futures of the members tasked with overseeing Peel police. Who did these two women think they were? Maybe Jeffrey and Crombie were tired of the old boy’s network. Maybe they recognized that public safety and protecting the people who put them in office were far more important than the nudge, nudge, wink, wink convention of the hapless board. Maybe they thought Evans, another woman, would empathize with all those residents tired of feeling oppressed by the very institution meant to ensure their well being. The former chief showed her true colour. 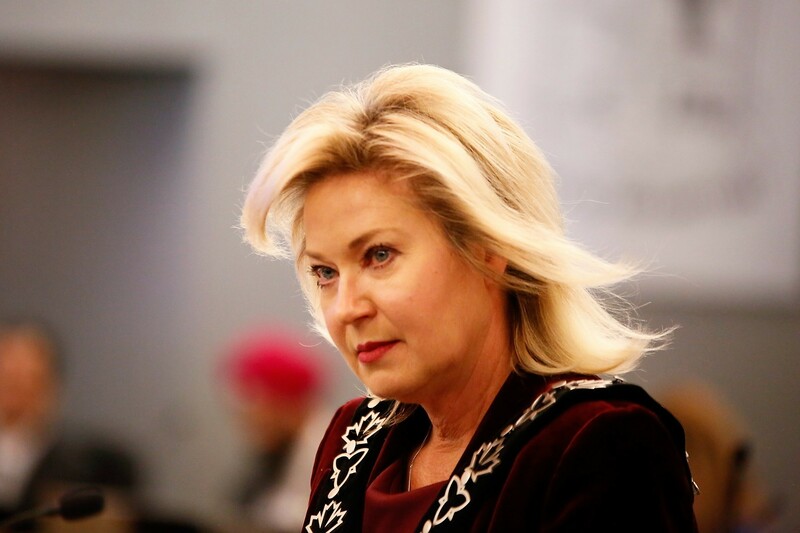 She shot back at Crombie during the exchange, defiant, incredulous that the Mississauga Mayor and her Brampton counterpart were demanding an extensive review of carding. They wanted the evidence. How widespread was it? Was it being done properly? Was it a useful tool, or a destructive practice destroying trust between police and many members of the community in two of Canada’s largest cities? Evans no longer had the votes around the table and was directed to do the carding review. Why had she protested so vigorously? If the rosy picture she painted was accurate, the review would prove it. The following September, the real story began to come into focus. The Toronto Star published reams of data from 2009 to 2014 that showed carding by Peel police had targeted Black individuals at three times the rate compared to whites. Despite representing only 9 percent of the population at the time, Black people were involved in 25 percent of the carding stops. At a board meeting the same week, Crombie and Jeffrey demanded the practice be stopped. It was destructive and deeply harmful to a large segment of the community they served. Their calls fell on deaf ears. Evans, without informing the board in advance of the meeting, had a legal opinion presented to members just prior to the public session when the vote to stop the practice was passed. She claimed that the oversight body charged with directing the police to ensure compliance with legislation, did not have the power to suspend carding. She had sole discretion, she claimed. Evans refused to comply with the board vote in 2015 and said carding would continue. Her subsequent smoke and mirror strategy was nothing short of pathetic, claiming the practice was a crucial policing tool, but when pressed Evans could only come up with a half-dozen examples of crimes that had been solved with the help of carding data over more than 35 years, and most of those were minor crimes. Other forces across the province, such as Ottawa’s, publicly said carding was a useless tool that actually distracted investigations and destroyed the fundamental trust with communities that is essential to dealing with crime. That didn’t stop Evans from claiming for months, throughout much of 2016, that a high-profile murder case in the GTA, the death of Cecilia Zhang, had been solved with the assistance of her force’s carding data, a claim that was refuted by those involved with the prosecution of the case who said Peel’s street check data, used long after Toronto police had strong evidence that led to a conviction, merely confirmed that the murderer had at some point been near the area where the body was eventually found. Evans’ and the force’s reference to their evidence in the case as carding data, was proof they didn’t even understand the difference between street check procedures and investigative procedures. The murderer was “carded” at some point prior to the crime after complaints of illegal fishing around the Credit River. His information should have been part of an occurrence report or other documentation for the investigative purpose of responding to the fishing complaint, not a street check, which is intended to get identifying information in a non-investigative interaction. It eventually became moot, as the provincial government sharply curtailed the practice of carding. And in another pathetically revealing move, Evans, who had resisted the suspension of the harmful practice, claimed her force was the first in Ontario to comply with the provincial government’s new mandate to effectively stop carding the way it had been widely practiced under Evans’ leadership. But her whitewashing seemed to know no ends. After public pressure had erupted the province initiated a series of meetings in 2016 across Ontario to get a handle on how police carding was eroding public trust. Evans hired a Toronto-based marketing company that had received contracts from the force before, to coordinate local meetings to gather information about the impact of carding. Despite widespread anger voiced at the community gatherings, mostly by young Black men, but by others as well, including a number of community groups who collectively called for the chief’s resignation, when the report commissioned by Evans was presented to the board early in 2016, members were shocked. She demanded Evans remove the unsubstantiated passage from the report that attempted to minimize the harmful impact of carding on members of the community. None of that was in the report Evans commissioned. More smoke and mirrors to create a false narrative. While trust in the community continued to be eroded, the former chief’s tricks grew tired. She commissioned a community survey presented to the board in the fall of 2016, an attempt to allay growing concerns that the force was out of control and refused to reflect the values and character of the community, as the law demands. A Winnipeg-based firm, hired for the job, presented a glowing picture of the department to the board. But members weren’t having any of it. Crombie questioned the community survey methodology, asking why it wasn’t explained in the report and whether or not the survey was accurate. Members wanted to know who framed the questions for the stellar community survey. 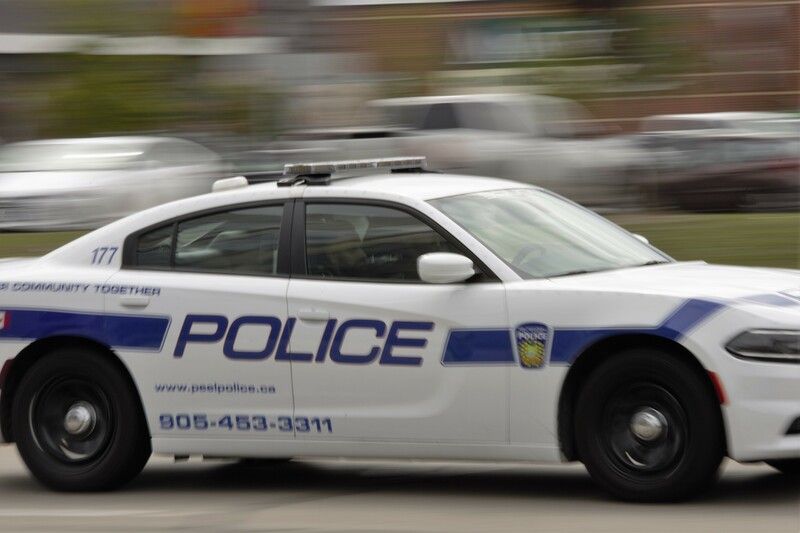 The firm’s representative admitted the force had written all the questions and the survey under-represented visible minorities, who make up about 65 percent of Brampton and Mississauga, the two cities patrolled by Peel police. Crombie said at the November, 2016 board meeting that surveys can be carried out to get whatever result you want. She detailed a poll by a competitor in the previous mayoral election that showed he was ahead of her by nine percent. “I ended up winning with 63 percent (of the vote),” she said. Jeffrey questioned the results of the commissioned survey as well, which showed 93 percent of respondents were happy with the job Peel police was doing. She asked how that could be accurate when two thirds of the population were visible minorities, many of whom felt targeted by the police. Evans had no answers. More smoke and mirrors. Finally, things began to unravel. The board, following the requests of community groups who described Evans’ efforts to address diversity problems as “lip service”, stating she had “failed” as a leader, called for a sweeping equity and diversity audit to get at the truth. The real truth. Not the “alternative facts” that have become so popular in our unfortunate public discourse. Evans and her senior officers mounted a furious offensive, calling the audit request an attack against them. In 2016, days after the board voted in favour of the audit, Evans sent the former chair, Amrik Ahluwalia, a scathing letter. “You took no steps to stop a disrespectful tirade in a public setting and in the presence of senior members of the police service,” Evans wrote to the chair. She pulled herself and her senior management team out of a series of workshops with the board aimed at setting its newly formulated directives for the force and two weeks later the senior officers’ union called for the chair to step down, claiming he had inappropriately touched an officer at a ceremonial event, despite no formal complaint and Ahluwalia’s surprise because he never recalled any issue at the public event. All of the efforts to railroad the audit failed. After months of delays, on Friday the deeply disturbing findings, came out. They had been presented to the board almost a year ago by the firm that conducted the exhaustive work, but mysteriously were kept under lock and key. Then, suddenly, Evans announced her resignation last fall. But despite the board telling the public the audit would finally be presented in November at a public police board meeting, it wasn’t. Not until Evans formally left the force in January, were plans made to release the truth. • and a rigid, hierarchical, para-military culture that doesn’t represent the Brampton and Mississauga communities it serves. The report went deeper still, to get at the force’s DNA. It concluded that the problems ailing the force can’t be solved by more programs and initiatives, or changes to policies and directives. The force, according to the audit findings, is led by older white men, who do not reflect the community and do not acknowledge that barriers exist, preventing the force from functioning in a progressive and equitable way. PRP is serving its own selfish and narrow interests, not the public's. Ranjit Khatkur of P-Card (Peel Coalition Against Racialized Discrimination) was one of the earliest advocates to get it written, and she wasn’t surprised by the findings. She said the force’s blatant discrimination and widespread problems have been known for years. She pointed out in the past that any delay in issuing the report since it was presented almost a year ago shows the contempt and arrogance of its upper management. She said the report clearly stated how badly that leadership has failed, but she is sure, they won’t acknowledge it. By not understanding their own shortcomings, the public is very much at risk, she added, and that makes it even more critical that the next chief named by the police board better not come from this compromised group. He or she must be unbiased, and take a profoundly modern approach to policing, for the safety of a public that is not well served by a force that includes many officers who don’t want to serve them. “Sad to hear them talk badly about Brampton every day ...I note they see Mississauga in a different light, and I suspect that is because Brampton looks like it is filled with more newcomers. Same crime can happen in Mississauga, but it is viewed differently”. 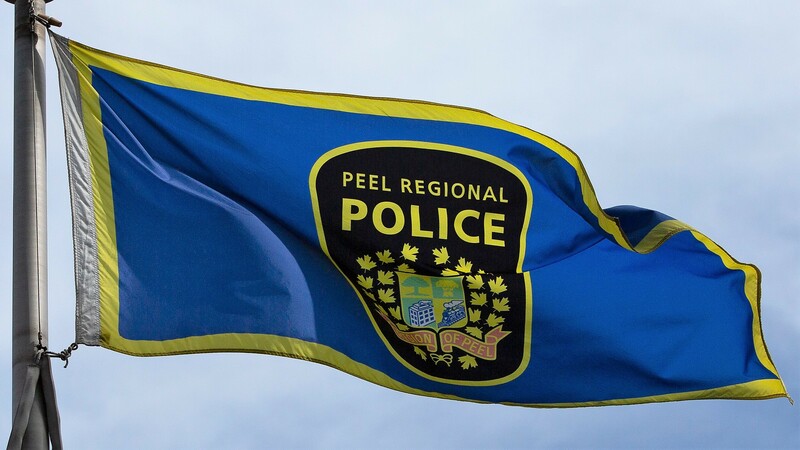 According to the audit a disturbing 79 percent of Peel police employees who took part voluntarily in focus groups reported experiencing harassment or discrimination within PRP, while 90 percent of participants reported witnessing such behaviour. It’s time to pick a crusading cop to lead PRP. Brampton Mayor Patrick Brown, a new member of the police board, following the report’s release Friday said action to change the force’s direction is long overdue. The bias and racism identified in the report is particularly galling since 65 percent of the people PRP serves are visible minorities. Plenty of evidence had already been accumulated before the report was filed that PRP had serious problems and had created an unbridgeable divide between itself and the people it was supposed to serve and protect. • The PRP officers’ file includes a troubling gallery of assaults, pilfering money, fiddling with evidence, and even botching a murder investigation (the Harrison family case). In a poll conducted by Forum Research for The Pointer last year, citizens were asked If they thought PRP did a good job: only 45 percent said yes (a glaring contradiction of Evans claim that 93 percent said yes). When asked if they felt safer today than four years ago: Only ten percent said yes. The new report also highlights a telling statistic: one-third of senior management didn’t see any problems within the force. This swaggering response was expected. What wasn’t, is 52 percent of all officers who believe favouritism, not merit, determines who gets promoted within its ranks. The Sandhu case in front of the Human Rights Tribunal, was example A, but also a seminal moment because its ruling said the PRP generally devalued police work in the huge South Asian community because it involves the South Asian population. Evans released a video shortly afterwards saying the ruling did not reflect the force’s values. Once again, more smoke and mirrors. She nor any other leader has ever issued an apology to Sandhu, who remains with the force, off-duty, or the South Asian community, which makes up about 45 percent of Brampton’s population. The CCDI report directs most of the blame at management, and rightly so. The vast majority said “systemic oppressions” simply didn’t exist in the force. They couldn’t connect PRP oppression with what was also taking place in society as a whole. The report states that without better self-awareness or willingness to implement progressive policies to turn the force around, little will change. This blinkered view is not unusual in an institution that has already pulled up the drawbridge on change. The report also shows the outlines of the divide between management and employees. It states that 93 percent of the PRP leaders believe the force is committed to diversity and inclusion and exhibits the finest traits of fairness, consistency and flexibility. While 90 percent of rank and file officers who participated in focus groups for the audit reported either experiencing or witnessing harassment or discrimination. Reprisals, officers said, are common for anyone who complains. The ocean-sized gap between leaders and front line officers is alarming, and is often pointed out throughout the audit report. No wonder Evans wanted no part of it. Some of the anonymous employee offerings included verbatim in the report state that senior management makes it look like they are inclusive and really value diversity when, in fact, behind the walls of power, quite the opposite is true. They pose for pictures, and say the right things, but it’s all a sham, simple window dressing. Smoke and mirrors. Are there other examples of myth-making at the community involvement level, particularly partnerships with outside agencies? Examples: Chief Evans was once a recipient of a Transformation and Diversity Award from Diversity Magazine; PRP issues an Equal Opportunity Plan annually, and the results look nothing like the results run out in the current, independent report; PRP holds an annual Race against Racism every year, but it was also the poster boy for carding that fixed a rather larger target on a disproportionate number of African-Canadians; and the force touts its diverse workforce in magazines like Canadian Immigrant, when the actual figures show the real picture. How did this go on for so long? Where was the oversight by the police board? Was the force’s executive branch showing contempt and unaccountability to the civilian body that oversees it. For years, the board has been a waystation for disinterested and unqualified politicos, and citizens who know next to nothing about creating a workable governance model for law enforcement. It was often used by the PRP executive branch as a rubber stamp for pay hikes for officers and other benefits. The critical push-back from board members was virtually non-existent. When Evans was ordered by the board to stop its carding program in 2015, she bristled, and simply ignored it. She and other chiefs were never challenged by the board. It was a cozy club. Credit both Crombie and Jeffrey for standing up to power, being steadfast in holding the force’s feet to the fire in that June 2015 meeting, and taking steps to kill carding, and ordering the equity audit, as well as many other reforms they brought about. The problem for PRP is that if they had just looked around the police industry as a whole, they’d find that reform really works – even in the most extreme cases. New York City in the 1960s and early ‘70s was a crime-riddled, Hogarthian nightmare, and NYPD was rife with corruption. The Knapp Commission (1971) exposed its vast number of dirty cops. The rot went right up to leadership. But the force has been widely reformed. More truth-telling took place in Los Angeles in March of 1991 when a silent video emerged of three LA cops (supervised by a sergeant) throwing an unknown black man (later identified as Rodney King) to the ground where he was Tasered, kicked, stomped on, and hit 56 times with a baton. Officers stood by as King was beaten to a pulp. He recovered from his injuries, but the LAPD did not. The widespread view was that it was abusive, racist and unaccountable. A decade later, another scandal implicated officers for unprovoked beatings and shootings. The rot ran deep. Criminal cases were overturned. Cops operated within a culture of their own making. Evidence was fabricated. They targeted young, poor, working-class African Americans and Latinos. It was a force that promoted violence, stole money, and sold drugs. When the LA (Rodney King) riots began in 1992, the police department was more than 60 percent white. It’s now half that, and will soon have 7,000 officers wearing body cameras. How did it remake itself? Ah yes, with a government-ordered equity audit. There are plenty of other examples of police forces facing the reality of serving a more diverse community. And it’s clear from the report issued Friday, PRP needs to be more representative of the community it serves. This will not only build trust, but help fight crime. Reform won’t happen with someone like acting chief Chris McCord in charge. He was one of Evans’ insiders, one of the old boys, part of the smoke and mirror club. His tendencies were revealed Friday. With the damning results in his face, pointing right back at him, with indisputable evidence of severe culture problems and a dysfunctional leadership, what was McCord’s response? The problems are a result of the rapid rate of demographic change in the two cities. It’s hard to keep up. McCord proved exactly what the CCDI investigators presented: a police leadership that refuses to acknowledge the real causes of the problems and is averse to real change. 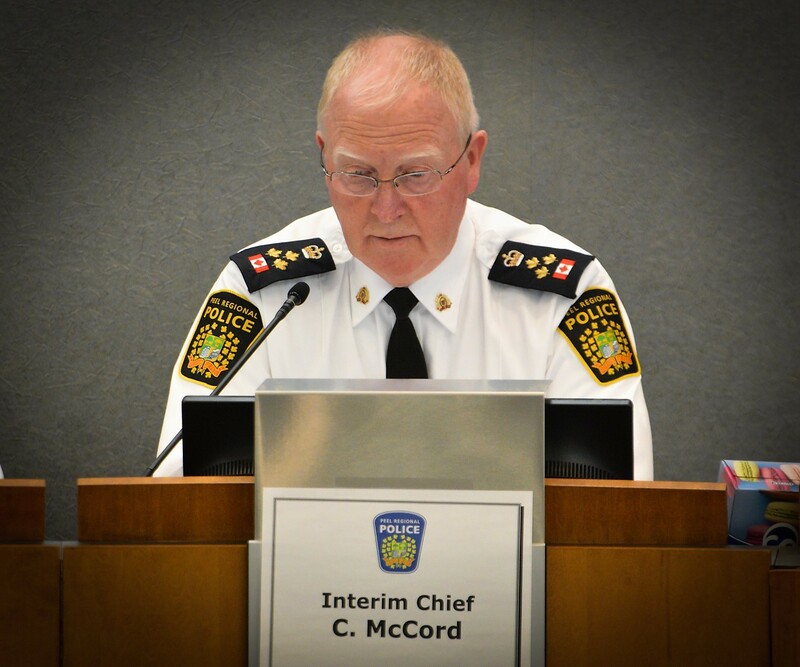 When asked if he wants the full-time job of chief, a decision the board will make following an extensive search it has launched to find the right candidate, McCord said he will make a decision when the posting goes up formally. That means he wants the job. The first building block put in place by Sir Robert Peel (the man our region is named after) when he drew up the nine principles of modern policing, was finding commonality between constables and citizens. Without community policing there’s distrust and alienation. P-CARD is a big proponent of returning policing to a grassroots level of service. It’s clear police forces create their own reputations. The numbers simply don’t lie, nor do the incidents like the mishandling of the Sandhu promotion. The constant promotion of bad actors in the rank and file, and the short-sighted leadership of Evans and her hand-picked team of upper management sluggos, led to a culture of smoke and mirrors, allowed by a supine police board, instead of real change. The advocates who called for more transparency and better hiring practices to close the diversity gap, were ignored, even humiliated. A forward-thinking force should have seen the tell-tale signs of dysfunction years before it appeared in the press, or got unveiled on Friday. • Make sure PRP looks like the communities it serves. There’s a clear cultural disconnect at work with PRP, and any changes made in the future, if the force wants to rebuild trust and become an effective crime fighting outfit, should be seen through the lens of inclusion. Otherwise, it’s all going to be smoke and mirrors.